Would you recommend Cloud by Daplie to a friend? Device looks great! However, I'd really like to see what the service looks like when interacting with it through a web browser. Also, would this device allow someone to host their own website? @magnuson Hi Charles! For those who Pre-Order the device you will get early access to software and certain functionality before the product ships. To answer your other question: Yes, we've actually automated the setup of not only a website but the needed encryption and other technical aspects as well. We are opening up to developers to build apps for our app store that can really take advantage of what a server has to offer. @magnuson You nailed on the head. The UX is the most important part (besides security, of course). We care deeply about making the UX/UI intuitive and accessible, even down to how the hard drives can be stacked on the server by someone who may have poor motor skills. We believe people know what they want. That is exactly why we are inviting our backers, investors, and advocates to join us and get early access to BETA software. We believe that it needs to be the most *useful* technology product out there, not only just convenient. I don't like products that claim to be "the first ___" but it's literally not true. 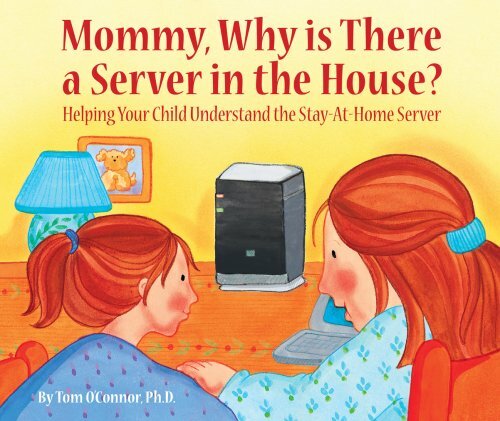 Hope the makers could clarify what they meant by it since "in-home servers" are one of the first things in personal computing. @aleattorium I think the key wording you missed is "for everyone". They're making it friendly for everyone, so average users don't need to ask people like me and you to set it up and maintain it for them. I think something like this is long overdue and I'm very excited about it. @obycode You Got it. We've automated all the technical aspect so if you can plug in a couple cords and choose a domain name you're ready to go!